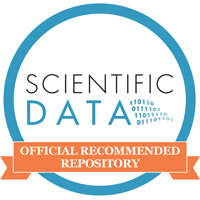 After data packages are uploaded to the repository, you will received a DOI and a recommended citation. Once published, you can update your ORCID profile and CV with this new scientific product. You may also wish to link between your data package in the repository and your organizations website. How to link your data package to your ORCID record. See here for a video on two methods for creating a local data catalog on your website. Presentation slides are available in GitHub here.